"Davin's logo identity and manual design for our foundation was remarkable. He is a pleasure to work with and his clear communication and listening made the project a complete success. His awesome personality and flexibility are true assets to the process." "Davin's skill, attention to detail and creative brilliance have made more than one of my graphic projects come to life in ways I never even imagined! I recommend Davin for many reasons, but especially for his thoroughness, his commitment to creative beautiful quality work, and his contagious enthusiasm and artistic encouragement. He helped me flesh out my ideas to a level I couldn't have reached on my own, and his turn-around time was always fast yet unrushed." "Davin is my #1 go-to for the most cutting edge, affordable, and efficient graphics I have ever seen. Check him out - his work will blow your mind!" "Davin's artistry is a beautiful fusion of intricate detail, magic & passionate sacred service to the collective blossoming of consciousness. 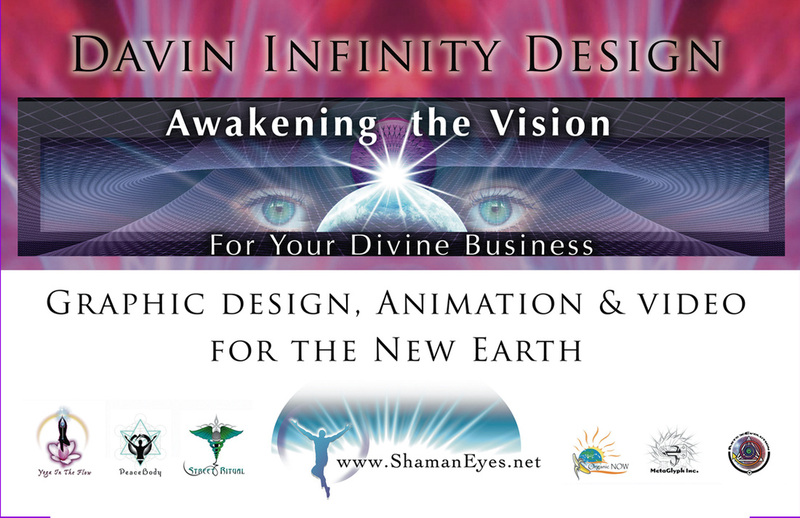 I could not feel more blissed or blessed to collaborate with this visionary magician in designing my business logo. He beautifully breathed life into the vision I had held within my minds eye, bringing a whole new depth and dimension I had never imagined! My heart holds so much gratitude for this ecstatic being. I look forward to spiraling deeper into crystalline structures of co-creative bliss, love & magic in the near future. I would absolutely recommend him to any being in search of inspirational, affordable & timely graphical divine works of art."